13. (verst.) 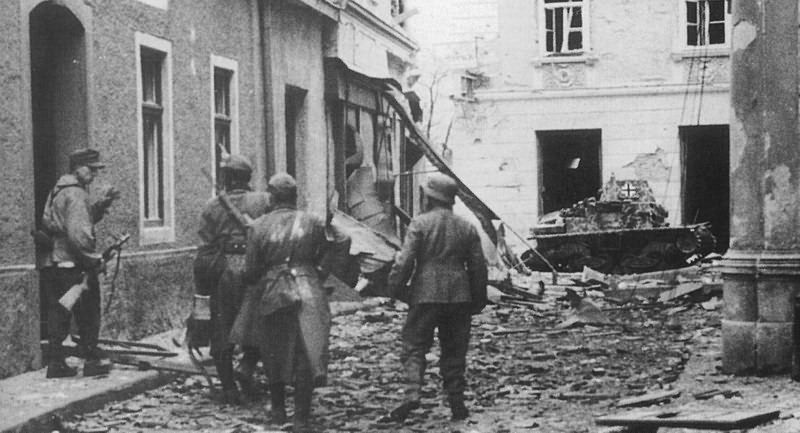 Pol.Pz.Kp (probably) Formed in January 1943. In July moved to Croatia, took part in the disarming of Italian units in September. 13. (verst.) Pol.Pz.Kp seized L 40 and AB-41. 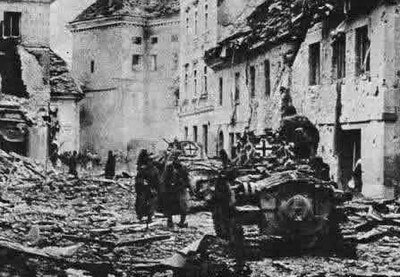 Fought between 9th- 12th December 1943 the Kocevje (Gottschee in German) battle, in southern Slovenia (Provinz Laibach). 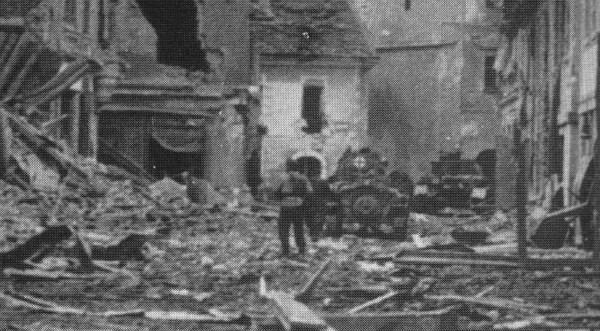 The town was attacked by the partisans and its garrison forced to retreat in the castle, in the middle of the town; it was relieved by Inf.Rgt. 314 of the 162. (turk.) Inf.Div. and by SS-Pol.Rgt. 19, supported by the 13. (verst.) Pol.Pz.Kp. (or more probably only some parts of it). This photo was taken in those days around Podgora (north of Ribnica): it shows a column of policemen, probably from SS-Pol.Rgt. 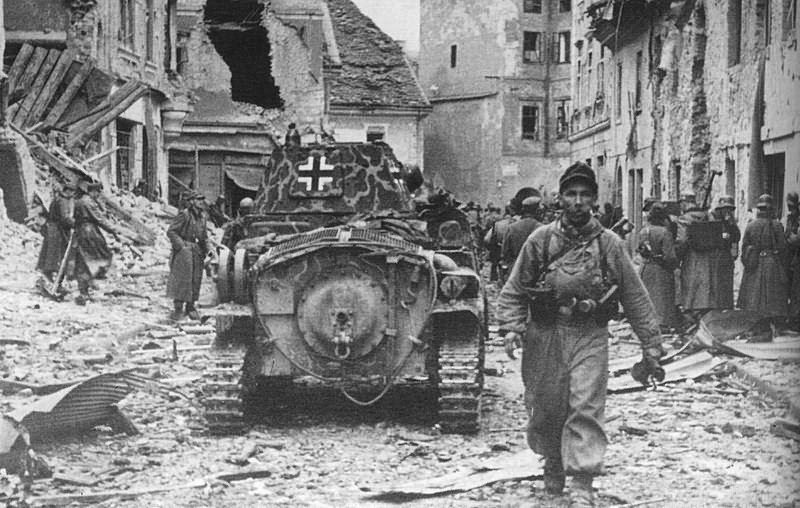 19, marching towards Kocevje, while it is overtaken by two K.-Pzkw. IV Ausf. Fl of the 13. (verst.) Pol.Pz.Kp. (one is barely visible on the right) and a light tank L 6/40. It is possible that the L 6/40 visible on this and on the following pictures were part of the company, although they were not present in its theoretical equipment; it is however also possible that they belonged to SS-Pol.Rgt. 19 or to some other unidentified Ordnungspolizei unit.